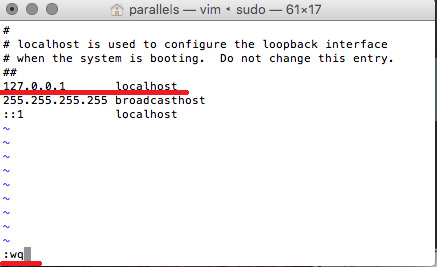 Parallels Desktop fails to mount Windows disks on the Mac because "hosts" file was manually changed. or is not presented, please proceed further. Enter your Mac administrator password when prompted (you will not be able to see the symbols you type). Press i button to enter in Insert mode and modify the file. Repeat steps 1-4 for /etc/hosts file.